Provide worker health and safety monitoring and soil management during excavation activities through known environmentally impacted parcels. 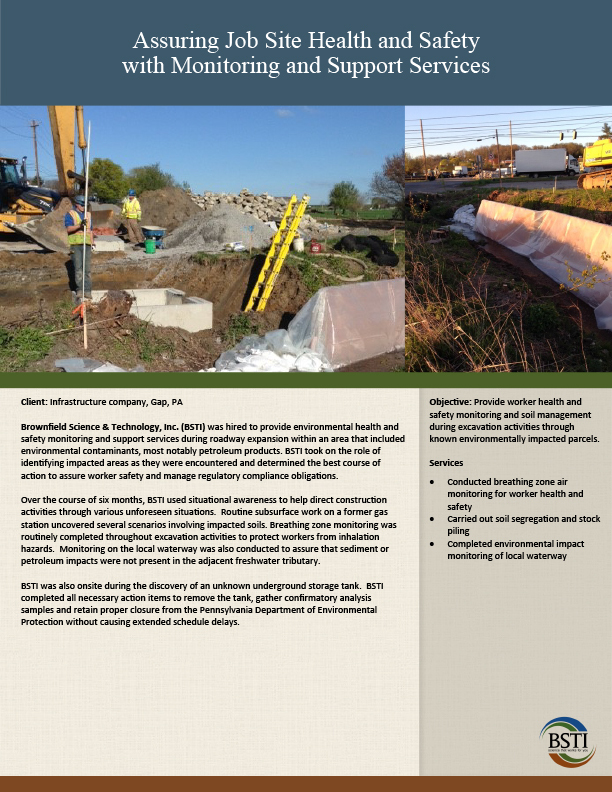 Brownfield Science & Technology, Inc. (BSTI) was hired to provide environmental health and safety monitoring and support services during roadway expansion within an area that included environmental contaminants, most notably petroleum products. BSTI took on the role of identifying impacted areas as they were encountered and determined the best course of action to assure worker safety and manage regulatory compliance obligations. Over the course of six months, BSTI used situational awareness to help direct construction activities through various unforeseen situations. 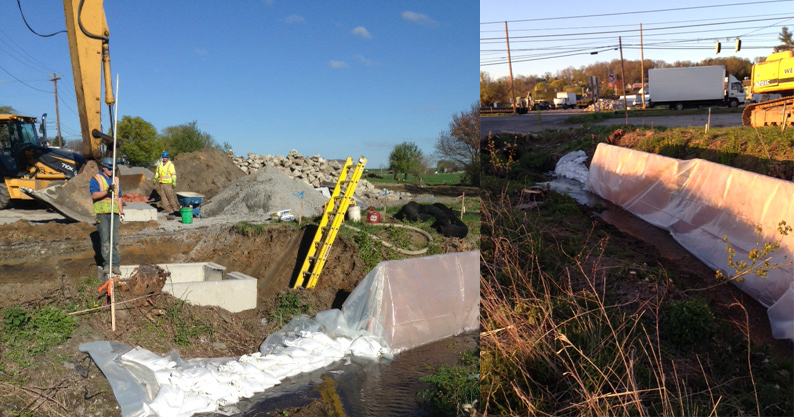 Routine subsurface work on a former gas station uncovered several scenarios involving impacted soils. Breathing zone monitoring was routinely completed throughout excavation activities to protect workers from inhalation hazards. Monitoring on the local waterway was also conducted to assure that sediment or petroleum impacts were not present in the adjacent freshwater tributary. BSTI was also onsite during the discovery of an unknown underground storage tank. BSTI completed all necessary action items to remove the tank, gather confirmatory analysis samples and retain proper closure from the Pennsylvania Department of Environmental Protection without causing extended schedule delays.